Young Nigerian Midwife Taken Hostage In March, Killed This Month : Goats and Soda The International Committee of the Red Cross has announced this latest killing of one of their employees in the unsettled northeast of Nigeria. Hauwa Mohammed Liman and Saifura Hussaini Ahmed Khorsa, two midwives who were captured by a terrorist group in March and subsequently killed. The International Committee of the Red Cross announced that Hauwa Mohammed Liman, 24, a midwife working for the organization in Nigeria, has been killed. Liman was kidnapped in March by the Islamic State West African Province group (ISWAP) along with another midwife, Saifura Hussaini Ahmed Khorsa. Khorsa, age 25, was killed in September. The ICRC confirmed Liman's death on October 16. The deaths are a reminder of the dangers facing health-care workers in conflict zones. Nigeria is one of the countries most affected by violence against health-care workers, according to a May 2018 report from the Safeguarding Health in Conflict Coalition, a group of non-governmental organizations that raises awareness of such attacks. The report says there were a total of 701 health-related attacks worldwide in 2017, including 23 in Nigeria, with 13 people killed and 15 kidnapped. Boko Haram is blamed for four such attacks; ISWAP is a faction of the terrorist group. "This is a global problem," says Len Rubenstein, chair of the coalition. "We know the impact is quite staggering, especially in areas as insecure as Nigeria. Health workers and organizations that support them are hesitant to go in. The inability to provide security for people ends up depriving the entire population of health care." Another recent killing was in the Democratic Republic of the Congo, where on October 20 a militia in Eastern Congo killed two medical workers. Liman was executed after ICRC issued a public plea to ISWAP to spare her life. 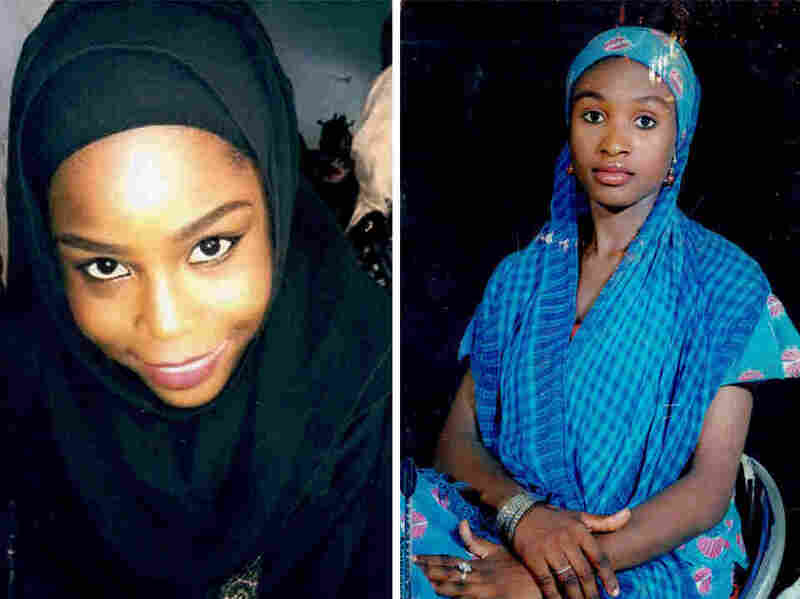 "The Federal Govt did everything possible to save Hauwa's life; it is tragic & regrettable that all our efforts were unsuccessful," tweeted Nigerian President Muhammadu Buhar on October 16. "She was described by those who knew her as full of life," says Vincent Pouget, communications coordinator for ICRC in Abuja, Nigeria. "She was very much loved by family and friends." Both Liman and Khorsa had been kidnapped while working in a clinic in the small town of Rann, which has seen an influx of people fleeing violence caused by Islamist militants. A third woman kidnapped along with Khorsa and Liman, nurse Alice Loksha, who worked at a UNICEF-supported clinic, is still being held captive by ISWAP along with a 15-year-old student named Leah Sharibu. Pouget says Khorsa and Liman were brave to take on health-care duties amid the violence. "They were coming from a nearby community," he says. "They knew the risks they were taking." The young women kidnapped in March were filling a great need in northeast Nigeria. About 1.8 million people are internally displaced. The ICRC estimates there were 755 health-care facilities operating in the area in 2009, but many shut down as personnel fled and supplies were cut off. Now, it estimates there are 375 facilities. And childbirth is particularly fraught in Nigeria. The country has one of the highest maternal mortality rates in the world as well as one of the highest infant mortality rates. The Red Cross clinics have provided a venue for residents to give birth with medical support. "From January through July of this year, over 11,000 children were delivered in ICRC supported clinics in the northeast of Nigeria," says Pouget. "The murder of two of our midwives will have a devastating impact on maternal care in northern Nigeria," the ICRC tweeted following Liman's death. "The lack of clinics in northern Nigeria forces many women to give birth at home or without medical care. Nearly 20 percent of the births will have complications ... Yet there are less than 50 midwives in the region." The murder of two of our midwives will have a devastating impact on maternal care in northern Nigeria. Violence is tearing the region apart. 250,000 women displaced by the fighting give birth every year. Pouget says that the parents of Liman and Khorsa urged ICRC to continue its work in the region. The organization supports 21 clinics in Nigeria, many of them in the northeast. Following the kidnappings, the organization suspended many of its operations, including programs that help with access to food and water. Pouget says the kidnappings could affect the ability to recruit health-care workers going forward as well. He says ICRC won't continue those operations until they can guarantee the safety of the staff. "The mourning period is not yet over. Our staff is still in shock," he said. "It will take us time to find a way to operate as we did."